Agence France-Presse reports that a Chinese government agency has acknowledged China’s development of a new intercontinental ballistic missile, the Dongfeng-41 (DF-41). 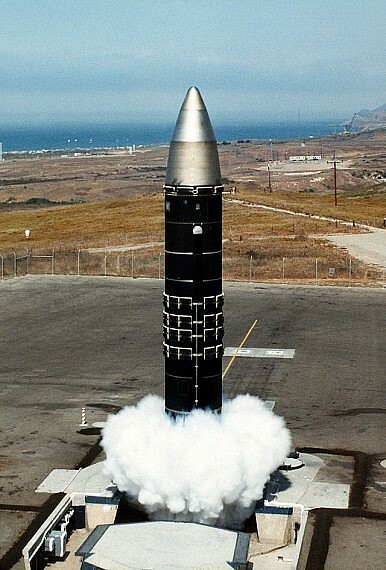 The missile is designed to have a range of 12,000 kilometers (7,500 miles), putting the United States within range. The U.S. Defense Department believes that the DF-41 is capable of carrying several nuclear warheads. The Chinese media report, quoted by AFP, said that “developing third generation nuclear weapons capable of carrying multiple warheads is the trend” as the U.S. strengthens its missile defense systems. With more on the story, Reuters says the news may have leaked out inadvertently. The government confirmation of the DF-41 came from an online notice posted by the Shaanxi Provincial Environmental Monitoring Center Station. The posting, which was later removed, said that a Chinese military installation in Shaanxi was developing the weapons. China’s Global Times then ran a story on the DF-41 based on the Shaanxi government post, complete with screenshot. The Global Times article was also deleted, suggesting that higher-ups had ordered the news to be scrubbed. Meanwhile, the latest violence in Xinjiang apparently included the murder of the imam of China’s largest mosque, Al Jazeera reports. Jume Tahir was the government-appointed leader of Id Kah mosque in Kashgar, which can hold up to 20,000 worshippers. He was reportedly killed by three religious extremists. Al Jazeera notes that Tahir was likely targeted for his “high-profile support for the government… and his criticism of violence in Xinjiang.” In response to the violence in Kashgar prefecture, China is sending additional security forces to Xinjiang. People’s Daily tweeted that “9 terrorists have been gunned down in Hotan” (in southwest Xinjiang) after 30,000 locals joined with police to hunt for terrorists.